Portland Home Energy Scores & Custom Floor Plans. WHat is The city of portland HOME ENERGY SCORE program? Homes that are listed for sale in the Portland real-estate market are required to receive a Home Energy Score, which provides comparable and credible information about a home’s energy performance. Homes will be scored by professional Home Energy Assessors on a ten-point scale: 1 Indicates highest energy use | 5 Indicates average energy use | 10 Indicates lowest energy use. The Home Energy Assessment takes about an hour to complete. The Assessor will gather information about the home’s envelope (foundation, insulation, walls, windows) as well as its heating, cooling and hot water systems. The Home Energy Score assumes standard operating conditions to allow homes to be compared on an apples-to-apples basis, independent of current occupant behavior. 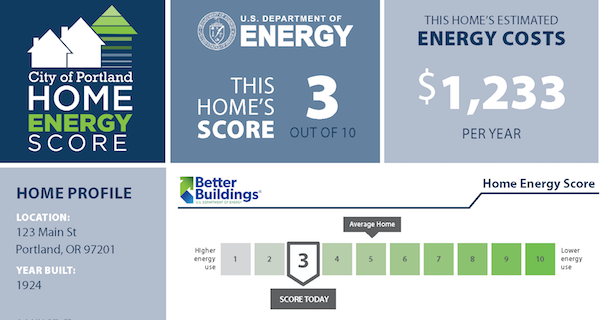 The Home Energy Score helps sellers more easily showcase energy efficiency improvements. It provides sellers with a means to highlight prior investments made in energy efficiency features that increase the value of the home. It also helps sellers understand cost-effective improvements that can be done prior to listing to enhance the marketability of the home. Make your listing stand out with a custom floor plan! save money with a Home energy score + floor plan bundle. For homes over 8,000 sq ft, commercial properties, or custom project inquiries please call/text 971-808-1498 for a quote. WOMAN OWNED & OPERATED. For homes over 5,500 sqft please text or call 971-808-1498, or email amanda@orionenergyscore.com for quote.